Sorghum grain is a nice rice or barley alternative for the slow cooker since it holds up well over a long period of cooking. This slow cooker chicken and sorghum soup is a flavorful mixture of the grain, chicken, and vegetables. This ground beef and bean soup is loaded with flavor. Shredded cabbage, pinto beans, tomatoes, and corn are among the vegetables. 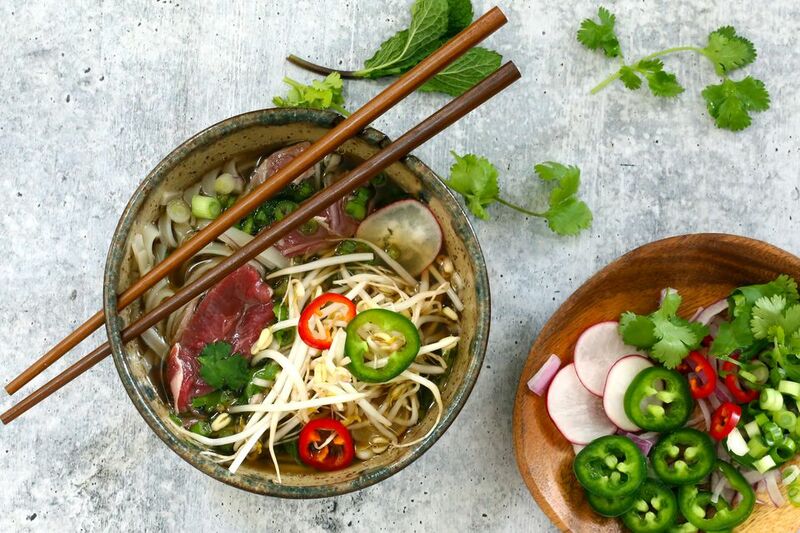 Pho noodle soup is Vietnam's national dish and just one taste will tell you why. The fragrant, lightly spiced beef broth is the key to this amazing beef pho soup, and it tastes as though it simmered all day. This leftover turkey and sweet potato soup is full of flavor. Sweet potatoes and peas or mixed vegetables add to the color while bacon and herbs add flavor. This cheeseburger soup is a delicious blend of ground beef, cheese, and vegetables. Change it up with some bacon, or replace some of the milk with cream for a richer chowder. This fresh salmon chowder is delicious when it's made with fresh salmon but could be made with good quality canned salmon as well. This chunky potato and ham soup is quick and easy, making it perfect for a busy everyday lunch or dinner. Add some chopped spinach, corn, or chard to the soup for extra flavor and color. This simple, comforting crock pot bean soup with ham is perfect for a fall or winter day. Serve the soup with freshly baked cornbread or crusty French bread. Celebrate Passover with a warming bowl of Matzo ball soup with chicken. The Instant Pot pressure cooker makes the flavorful chicken broth in record time. This popular taco soup is made with ground beef, tomatoes, taco seasonings, and beans. This makes enough for a game day or tailgating party, and it freezes well. This thick and flavorful slow cooker pea soup is flavored with diced andouille sausage. Kielbasa or a gourmet chicken or turkey sausage may be used as well, or use diced leftover ham in the soup. This flavorful hamburger soup with black-eyed peas and kale is a good choice for an everyday fall or winter meal. Serve this tasty soup with cornbread and a tossed salad for a perfect family lunch or dinner. Choose a country-style sausage or bulk Italian sausage in this tasty corn chowder. A combination of cream-style corn and corn kernels give the soup extra flavor and texture. It's an easy preparation and it cooks quickly. This bean soup with ham and spinach is hearty and nutritious, and it's a quick and easy preparation. Serve this bean soup with cornbread for a delicious meal. This creamy mushroom soup is made with the addition of cheddar cheese and chunks of spicy andouille sausage. Feel free to use another variety of smoked sausage in this recipe. Add a sandwich or salad and make it a main meal, or serve with crusty bread for a great lunch. Add a few shrimp early in the cooking time to give this sausage and shrimp gumbo combo more shrimp flavor. If you're concerned about fat content, prepare the gumbo in advance and chill it in the refrigerator. Skim the excess fat off the cooled soup. Condensed soups, cream, and your slow cooker make this an easy and convenient chowder. The ham and corn chowder is filled with corn and diced ham. The slow cooker lentil soup makes this lentil soup a breeze to prepare. 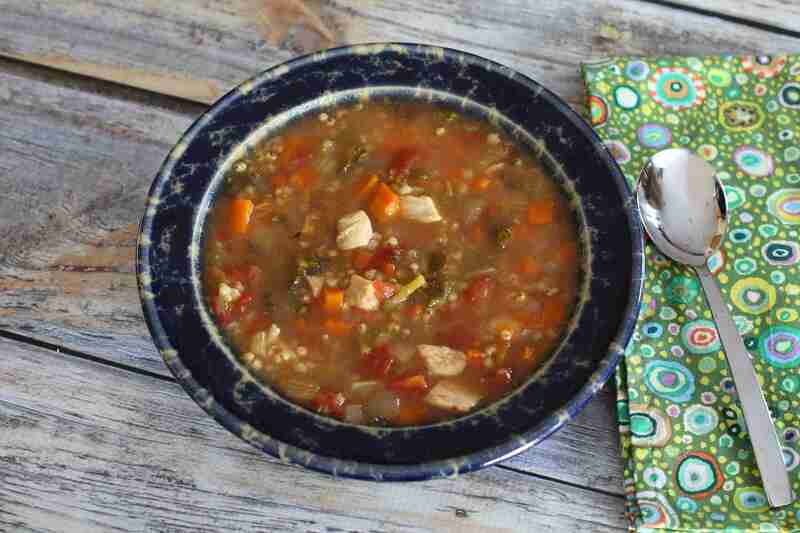 Use your favorite smoked sausage or a similar fully cooked sausage in this soup. This creamy chicken curry soup is an easy preparation, and the flavor is amazing. This is an excellent soup to serve with sandwiches or serve it with crusty rolls or bread and a salad. We made the soup with ham but feel free to make it with diced and browned smoked sausage or mild Italian sausage. Diced cooked bacon would be good as well. Top the creamy potato soup with some chopped green onions or shredded cheese. This popular crock pot clam chowder is cooked in the slow cooker with some bacon or salt pork and canned minced clams. This is a creamy cheesy broccoli soup you can have ready in under 30 minutes! It's a good soup for lunch or a light supper. Garnish this easy slow cooker cauliflower and cheese soup with a drizzle of oil or chopped chives or parsley. The recipe includes instructions for a roasted red pepper puree. This flavorful semi-homemade chicken noodle soup is simmered to perfection with chicken, frozen vegetables, and cooked noodles. It's a very easy soup because condensed soups are used as the base. Use purchased tortilla chips or corn chips or make them homemade from corn tortillas. This chicken tortilla soup is excellent and full of flavor. This shortcut tomato soup is made with canned tomatoes, some tomato paste, and seasonings. This crockpot chicken and corn chowder is a super easy preparation. It's made with pantry ingredients and a variety of seasonings and it doesn't skimp on flavor. Fresh ingredients make this a delicious fall or winter soup. This savory butternut squash soup may also be made with another winter squash, such as butternut, acorn, or Hubbard. This fabulous tuna and corn chowder is made rich and delicious with cheddar cheese and chopped vegetables. The flavors of bacon, tomatoes, and clams make this slow cooker Manhattan-style clam chowder a refreshing and delicious alternative to heavier cream or milk-based clam chowders. This basic hamburger soup is loaded with vegetables. The broth is made with beef broth and onion soup mix, along with tomato sauce and seasonings. Chunks of cooked lobster meat are added to this rich corn chowder. Add some crab or shrimp for a seafood chowder. This creamy roasted cauliflower soup is spiced with curry powder and optional lime juice. Top the soup with chopped fresh cilantro. Fresh asparagus and diced cooked chicken are the stars of this creamy soup. The soup also contains potatoes and some red bell pepper and onions. This hearty slow cooker corned beef and cabbage chowder is an excellent way to use leftover corned beef, and it's easy to make with condensed potato soup and the slow cooker. If you like stuffed peppers, you will love this soup. With tomatoes, peppers, ground beef, and rice, the flavors mimic classic stuffed peppers nicely. Not only is the flavor there—the soup is lighter and takes less prep time.